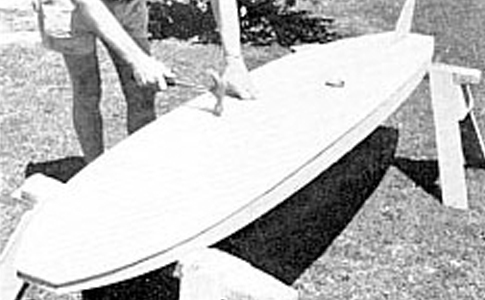 Easy build car-top surf boards. Plans are available for four sizes. For construction in plywood or as a mould for grp/frp composites. (7) 7ft 6ins (2.3m) child size. (8) 8ft 6ins (2.6m) to carry up to 112 lbs. (9) 9ft 6ins (2.9m) to carry up to 168 lbs. (10) 9ft 10ins (3m) to carry over 168 lbs. Plans include ‘main materials list’, and full size patterns. 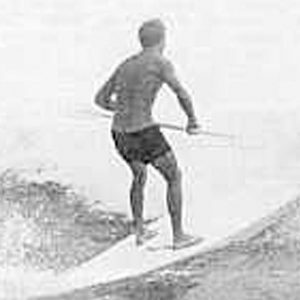 Please remember to choose a Surboard length below.